Due to challenging church and personal circumstances, two of our officers have stepped down. We want to say a special thank you to Carmelo Torres of Agape Church in Holyoke and Dan Hines of The Journey Church in Pittsfield for serving as Vice-Chairman and Treasurer. They did a great job for us, and our prayer is that God continues to use them mightily in their churches. Thanks to all of our pastors and missionaries who work together and encourage each other. We have a special fellowship! Ministry leaders from across the northeast were encouraged, trained, and challenged yesterday at the 521 Conference for pastors. Keynote guest speakers were authors and pastors Larry Osborne of North Coast Church in the San Diego area, and Carey Nieuwhof of Connexus Church outside of Toronto, Canada. Many other speakers led breakout workshops. Close to four hundred pastors benefitted from the day. Pastors and staff of MaBBF churches met over lunch to discuss current efforts and future plans to continue helping pastors lead growing and reproducing churches. Chairman John Kerns cast the vision for the MaBBF to raise $20,000 this year for church planting. $13,000 has already come in! If you or your church would like to be part of helping church planters in Massachusetts and New England you can send a check written to “MaBBF” to: MaBBF, P.O. Box 751, Pittsfield, MA 01202. 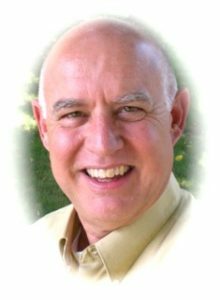 God is much at work in New England, and the MaBBF is poised to play an important role in carrying out the mission. Click here to learn more about the Massachusetts Baptist Bible Fellowship. Over 100 pastors, missionaries, and church planters showed up for our first Regional MaBBF meeting at Granite United Church in Salem, NH. It was an awesome time of worship, prayer, fellowship, challenge, and encouragement! Thanks to Pastor Anthony Milas and his team for hosting such a great meeting. For information about our next meeting, click here: Regional Breakfasts. In September of 2014 Pastor Walt Grayum challenged his church to remove an obstacle that hindered the church’s opportunities to reach people – a parking lot that was falling apart and presented a poor image to the community. The church took the challenge to heart and began raising the money. Many gave generously and consistently, and two years later to the very week the project was completed! The LifeSource Church family is expressing their gratitude to God for enabling them to accomplish this large and expensive project. “I wanted to pass this along for all of our missionary and church planting friends planning to attend the September meeting on Cape Cod. “Instead of the usual presentation by 1 or 2 missionaries we are trying to give every missionary and church planter present a bit of exposure from the stage. We know that one of the benefits of these meetings is connecting church and missionaries together. To help that process we are creating Missionary / Church Planter Intro Videos. “These will introduce yourself, your family, and your mission to the assembled pastors, leaders and church staff at the conference. We can’t have everyone on stage time. BUT… the Cape Cod Church team will give you the opportunity to shoot a 20-second video clip telling everyone who you are and what you’re doing (or planning to do) for the Kingdom. “Twenty Seconds to Make Your Mark,” if you will. We’ll shoot the videos on Tuesday and Wednesday mornings at the church (in The Park nursery area), including contact information and then show during the evening general sessions Tuesday and Wednesday evenings. Interested? You can sign-up ahead of time by clicking on the link below. “We are looking forward to seeing each of you in September! 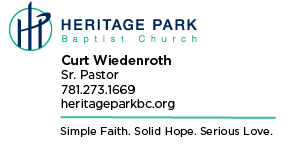 Heritage Baptist Church in Burlington, MA, under Pastor Curt Wiedenroth‘s leadership is focused on Fellowship, Unity, and Neighbors (F.U.N.!) this summer and continuing into the fall. They’re doing family camping at Seven Maples in Hancock, NH. They are hosting a Beth Moore Simulcast on September 17th. They have also been volunteering at Boston Baptist College by helping paint the men’s dorms. It’s always encouraging to see good things going on in our churches! Welcome to the place where we’ll share news about what’s happening in our churches. Doesn’t have to be mind-blowing or hugely fantastic, just what’s going on in your church. VBS? Special outreach? Big day? Musical? Fellowship night? Concert? …? Let me know and we’ll celebrate with you here on this page! Don’t worry about writing it perfectly. Just send me your info and I’ll write and edit as needed. If you happen to have some photos, send them along, too. Let’s encourage each other with news about what the Lord is doing in our churches. 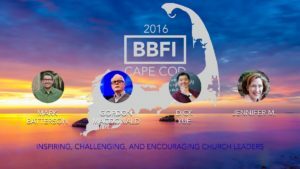 The Cape Cod Church family is very excited about hosting the National Meeting of the Baptist Bible Fellowship International September 19-21. It’s an honor to have it in New England. 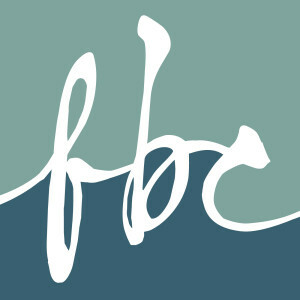 The meeting’s location on Cape Cod makes the national meeting accessible for pastors and churches all over New England. Pastor Feldott invites everyone to join them for all or even just part of the meeting. 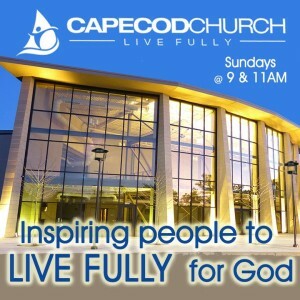 All of the details are available at Cape Cod Church’s web site. Twenty-four parents are gathering every Wednesday night in July and August at a local restaurant to work together on becoming more effective parents. The summer workshop, entitled “Arrow Making,” provides an interactive approach to the nitty-gritty issues of parenting. Many young people overcome really bad non-Christian home and parenting situations and still ended up serving Christ faithfully. Far fewer young people overcome Christian parents who are lukewarm or hypocritical. Parents have the greatest influence on the upbringing of their children, a lot more influence than the youth group they attend a couple of hours a week. The pastors of LifeSource are convinced that the key to training up young people to be faithful disciples in the church is training their parents to be faithful at raising their children to be disciples. They are so convinced of this that, as Youth Pastor Matt Grayum puts it, “If I had to choose between having a youth group or a parents group, without question I’d choose the parents group.” LifeSource has both kinds of groups, and their prayer is that parents and youth group working together will produce many young people who love and follow Christ.